All puppies are AKC and CKC registered unless otherwise noted. Breeding rights are an additional $400. to qualifying breeders. I do except $200. deposits to hold the puppy of your choice. Your deposit must reach Me in five days or your Puppy is still available. All Puppy's must be Pick up By You at 8 weeks or they will be for sale, Unless Arrangement are made to Hold Puppy Longer for a Fee. Will meet for Expenses. All deposits are non-refundable and apply to the total cost of the puppy and Payments nonrefundable. 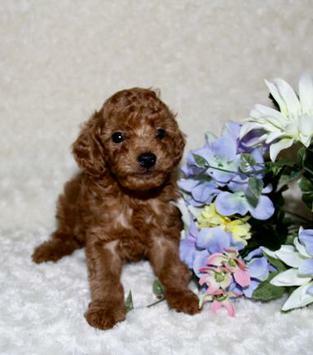 We Are Proud To Be HONORED And VERIFIED By United Online Breeders As A Top Poodle Breeder.